A staff artist at Disney named Roy Williams is the one who suggested the cast wear Mickey and Minnie Mouse ears. The Mickey Mouse Club itself was a variety show and consisted of both music and dance numbers with intermittent educational segments. The cast was broken into two “teams” the red team and the white team. 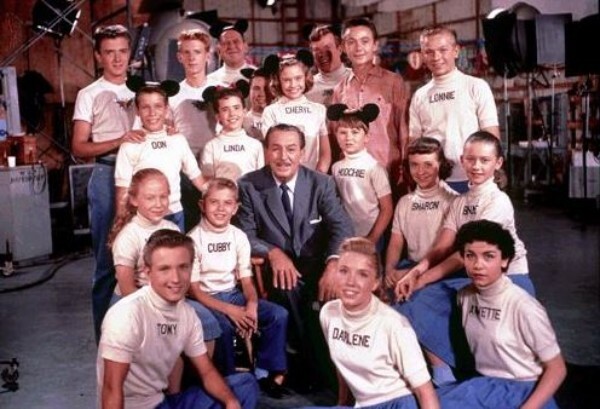 The red team was the kids who actually appeared on air and are the most famous of the Mouseketeers. The original cast consisted of Sharon Baird, Bobby Burgess, Lonnie Burr, Tommy Cole, Annette Funicello, Darlene Gillespie, Cubby O’Brien, Karen Pendleton, and Doreen Tracey.